Who doesn’t love to run while listening to their favourite tunes? There is not much better than heading off for a run while your music blasts through the headphones to give you that extra motivation (and rhythm) to have the best running experience possible. Of course, there is one irritating thing – my headphones just keep falling out. If, like me, you have often found yourself stopping suddenly to stick your headphones back in your ears while on the move, you understand the frustration that comes with the sport. However, there is a solution, and it’s a pretty good one too. Neckband headphones work to keep everything in place, and you will find yourself able to get through a run without much hassle. They are a great investment, and everyone is making them, so why not jump on the bandwagon and see if they are right for you? We know it’s not easy to choose the right headphones, but that’s where we come in to give you a hand with things. In order to help you find the best neckband headphones, we have put this guide together, compiling all of the relevant neckband headphone reviews in one place, allowing you to find one that works with your routine. You might be wondering exactly what neckband headphones are and why they are so good. In this section, we will answer both of these questions before heading onto the products themselves. Neckband headphones are basically collars, and they sit comfortably around your neck so that you don’t have to worry about them falling off or getting lost. They are steadily replacing standard headphones due to the fact that they are comfortable to wear and their design prevents the cables from getting tangled up. 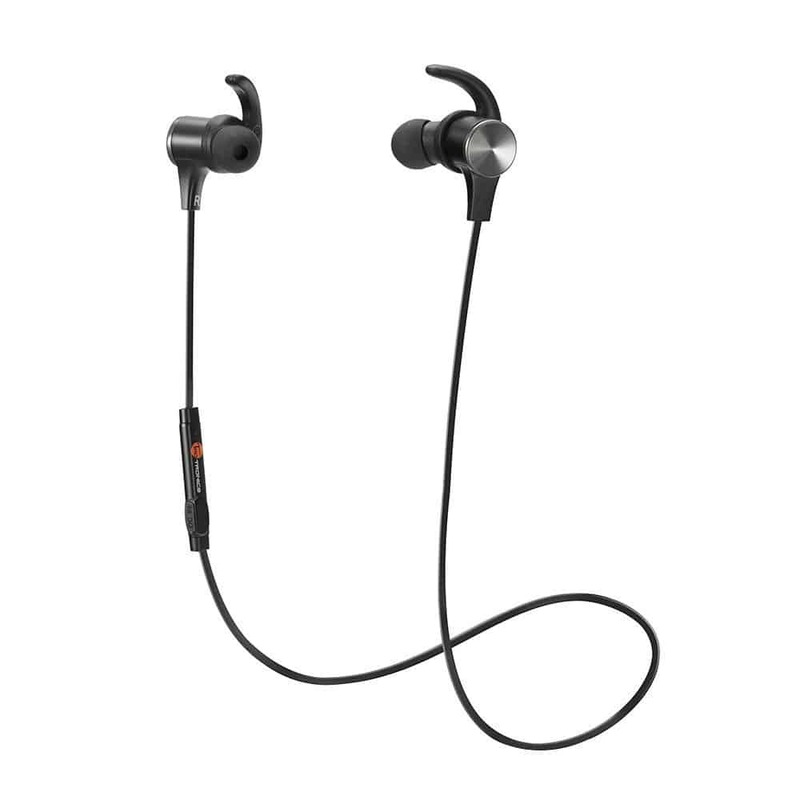 They also have better noise cancelling properties than most other headphones, which is perfect if you want to go for a run with no disturbance from the outside world. As they are made for those on the move (whether exercising or commuting), most models are also sweatproof to stop them from falling out of your ears – which is an absolute lifesaver. 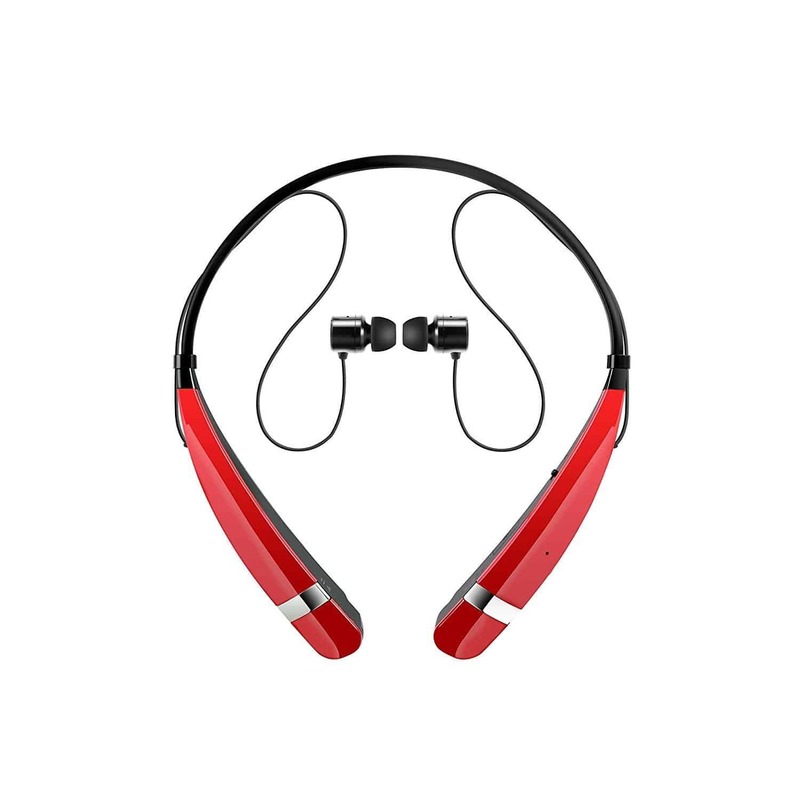 While there are some wired models, most neckband headphones connect through Bluetooth, which means that you can listen to your favourite music without extras wired to get in the way (or for you to accidentally pull out). It’s a much more convenient style and design. Now that you have a better feel for the product and an improved understanding, have a look at the neckband headphone reviews below to see if any of them interest you. LG is one of the leading electronics brands on the market, and when you buy something from them, you know you are getting something that is great quality and going to serve you well. If you think that these could be the next headphones for your running trips, have a look at the reviews below. These neckband headphones come in a fantastic range of colours, so you are sure to find something that is perfect for you, and they have been designed with your comfort in mind. They sit wonderfully on your neck, and without rubbing for a great experience when you’re on a run. The headphones themselves sit nicely in the ears and are sweat proof so that they don’t fall out. The controls are located on the neckband, and they are incredibly easy to access – allowing you to switch the track, volume, and pause with the simplest movements. As they connect to your smartphone using Bluetooth, you can also use them to pick calls up while you are on the move. They have a great battery life as well, so you don’t have to worry about them dying on you. There have been no issues with this model of neckband headphones so far. These affordable headphones are comfortable to wear and come at a good price that won’t leave you broke until payday. The controls are easy to access, and the fact that there have been no complaints yet show that these are the best you can get for going on a run. The battery life is fantastic, and they don’t take long to charge when compared to most models of headphones, so you are in luck with a pair of these. Fantastic headphones that come at an amazing price. Sony is the leader when it comes to audio technology, and as soon as you start to use any of their products you wonder why you didn’t choose them sooner. For Bluetooth headphones that really pack a punch, stop here and keep reading to find out if these are going to be a match for you. These neckband headphones have a really stylish and secure design, so the earbuds actually loop over your ears to keep them in place at all times. However, rest assured that this will not rub against your ears, and you don’t have to worry about stopping and readjusting them every five seconds. It has seven hours of battery life, perfect for any commute, and a really speedy charge time. It uses Bluetooth to connect to your smartphone, and the connection is strong so that you can keep going with high-quality sound and no fear of the connection breaking mid-run. Plus, the neckband means that you have total freedom of movement during your workout as there are no spare wires. If you want to pick up calls, you can do so using the controls on the neckband and the built-in mic. Some customers have noted that they cannot hear the bass that was promised with these headphones. These neckband headphones from Sony come at a good price, and one that most people will be able to afford – making it an accessible model. While there have been some complaints about the bass (or lack of it), the sound quality is still excellent, and it is one of the best models of neckband headphones on the market. With easy to access controls on the band itself, a strong Bluetooth connection, and the ability to pick calls up wherever you are, these certainly have everything you need and more. Phillips is another fantastic brand in the electronics industry, and they produce some of the finest tech for you to enjoy both in and out of your home. 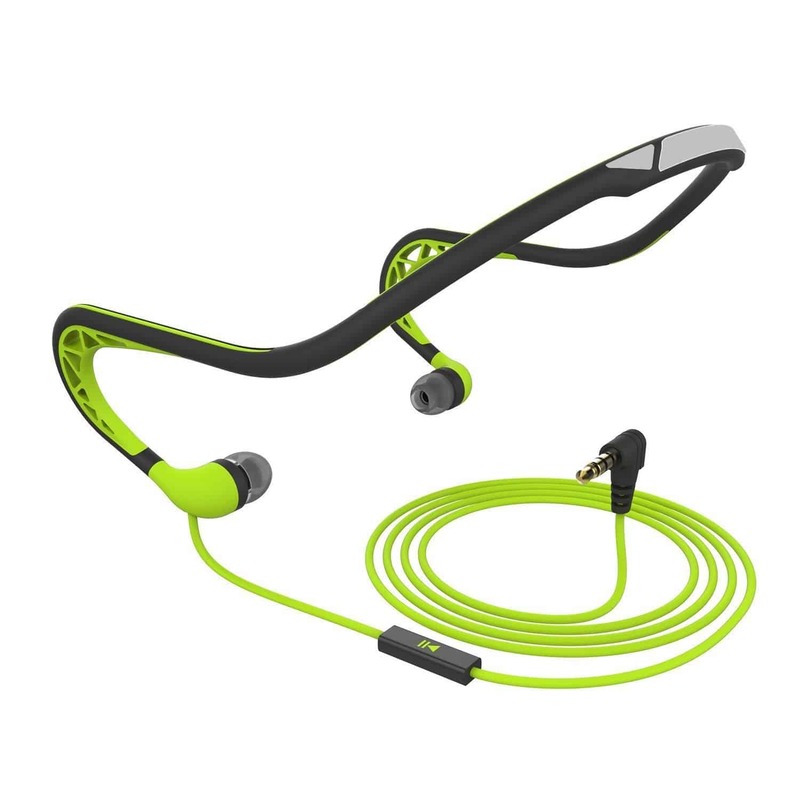 For sports, you might want to check out their neckband headphones, so take some time to read the reviews below and see what you think. These neckband headphones come in three great colours, so that you can choose the one that best matches your personal style. The neckband itself is comfortable, but what adds even more comfort is the fact that the earbuds loop over the ear securely (and without rubbing) to keep them in place while you work out – meaning you don’t have to keep readjusting them. 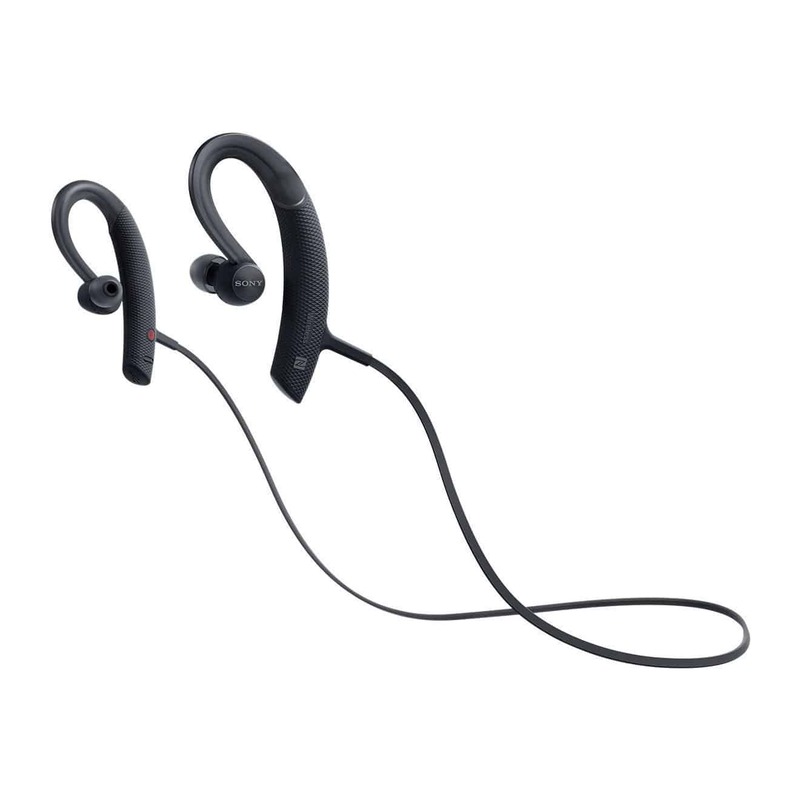 The sound quality is great, with closed acoustics for a better and crisper sound when you exercise, and the cable that connects to your music device has been reinforced with Kevlar to give it the best possible durability. It also comes with three different sizes of earbud so that you can choose the one that fits your ear best and most comfortably. The cable can get in the way and pull to the left while running. 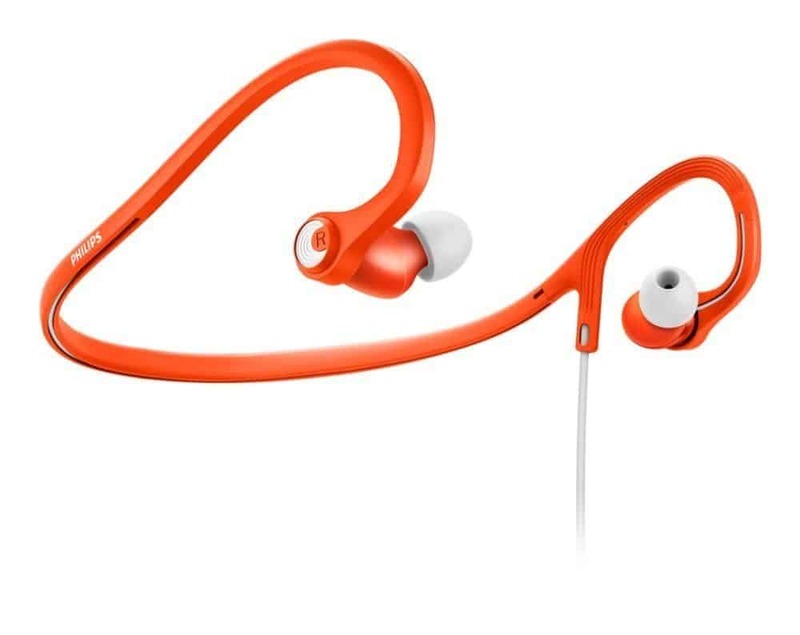 These neckband headphones come at a great price, and one that is quite enticing to most price brackets. While there have been a few issues with the cable pulling to the left, they are generally very comfortable to wear and easy to use, making them the ideal basic companion when you go to complete your daily workout. Plus, the sound quality is exceptional considering the price, so you’re winning either way with a pair of these. Here are some further models of neckband headphones, just in case the ones above do not quite meet your requirements. These neckband headphones come in two fantastic and vibrant colours that you are sure to love, and one of them will suit your style perfectly. They are also a cheap but good quality option, so you won’t break the bank when you pick them up. The ergonomic design means that they stay in place at all times, and they won’t slide off when you start to sweat. Plus, they are comfortable with no rubbing while you exercise. The sound quality is great, and they connect to your phone via a wire for ease and less hassle – and they are compatible with all smart devices. TaoTronics is another big name in the electronics industry, and these budget neckband headphones come at a very appealing price that you won’t want to miss out on. They even come in a range of colours so that you can find something that suits you perfectly. With a comfortable design that doesn’t rub or cause soreness, you can enjoy the superb sound quality while you are going through your exercise routine. They use the latest Bluetooth technology, and are also compatible with all smart devices for ease of use. Plus, the noise cancelling technology means that your exercise sessions can be carried out in peace. 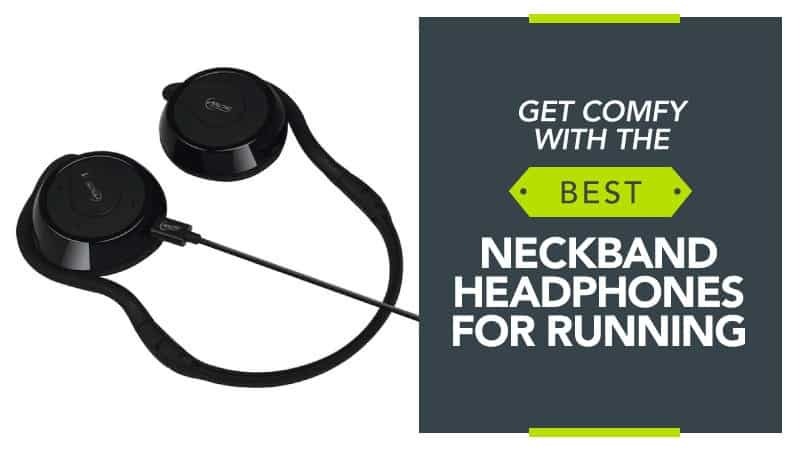 Hopefully, this guide has helped you to find the best neckband headphones, and has allowed you to find a pair that is going to work perfectly for you during your next exercise session. After all, music often helps it to become a more enjoyable activity. The neckband headphones that we have chosen for you to look at are some of the best around, and they come from brands that are trusted by thousands around the world – but also trusted by us. This means that you can choose something that you know and are comfortable with for your next run. We’ve taken your budget into account as well, as we know everyone has a different limit, so you should be quite pleased with the variety of prices we have here. We know that at least one of these will be perfect for you. What did you think of our neckband headphone guide? Are there any that you would have liked to see or recommended? We love hearing from you, so make sure to leave us a message in the comments below.